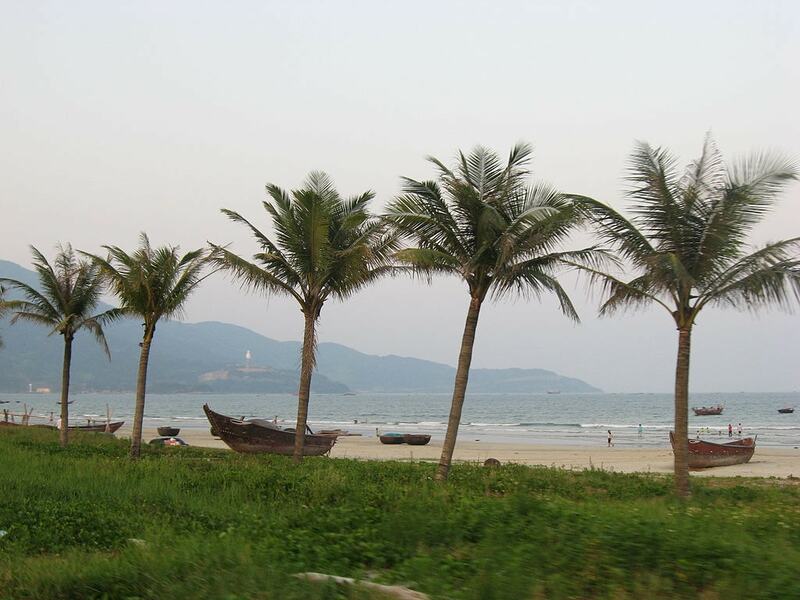 Halfway between Ho Chi Minh and Hanoi, Danang offers travelers what neither of its big siblings can—nature. Lots of it. Imposing tropical mountains, cloaked in dense blankets of vibrant green, tumble down into the sparkling blue of the East Sea. White sand runs for miles, arching gently into the crystalline bay beneath the pleasant shade of coconut palms. The peaceful sound of the tide creeping higher echoes from the sheer limestone walls of secret beaches and hidden lagoons. This scene is a rarity for Vietnam: a sublime mixture of action and energy set to a backdrop of overpowering natural beauty. If you’ve got only two days to spare, here’s how to spend them. 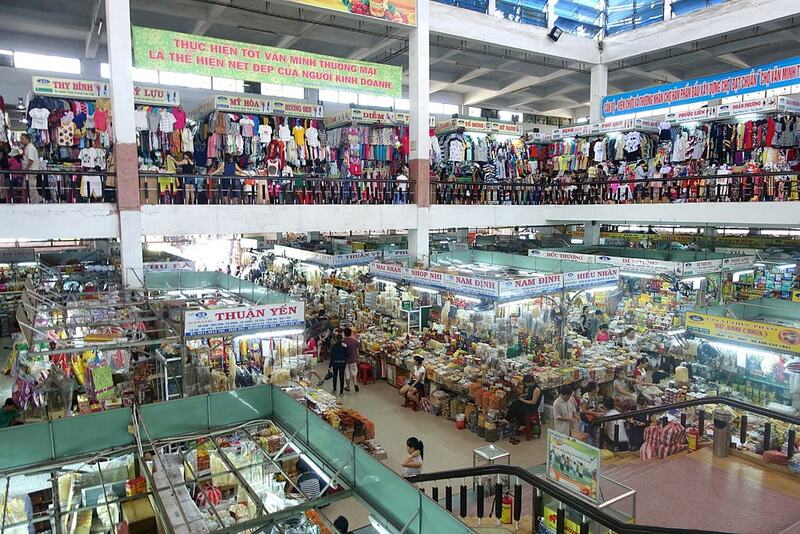 Start your day by exploring the nooks and crannies of Danang’s largest market. With an endless array of goods from food and spices to clothing and trinkets, Han Market seems to go on forever. Whether you’re bartering for Vietnamese silk or being a passive observer, this is a great way to experience life in the city. From the market, rent a scooter for 100,000–200,000 VND (5–10 USD), and head north to the famous Hai Van Pass. Even before Jeremy Clarkson and the hosts of Top Gear proclaimed this superb stretch of winding mountain road one of the best in the world, locals were climbing these switchbacks with regularity. Stop at the top for a banh mi and a beer, and then do what no one else will. Do not drive down. Just don’t do it. Instead, park your bike down the dirt road just beyond the shops on the top of the pass. After ditching your wheels, walk down the dirt road until you see the frame of a small building poking through the rugged jungle. Just beyond this area, you’ll encounter a narrow pathway that juts straight down the mountain. 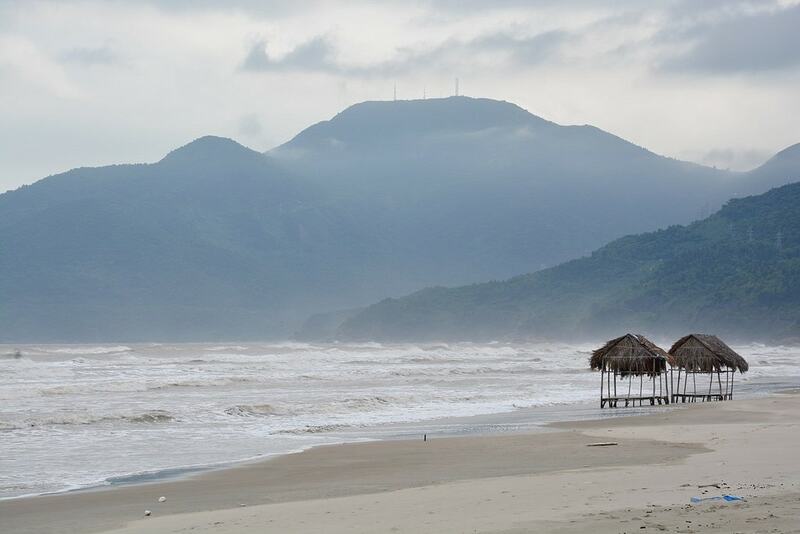 Spend the next hour stumbling your way toward the smell of the sea and encounter Danang’s hidden gem: a pristine sandy beach enclosed by limestone and jungle looking out over a magical blue lagoon. Bring a snorkel, because there’s plenty of coral and tropical fish to find. 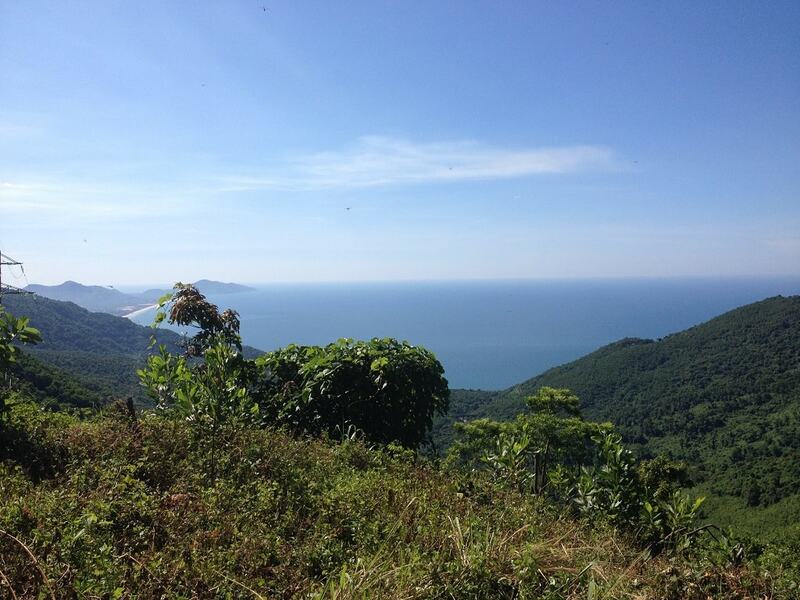 Hike back to the top of the pass, and then you can ride to the end or find a lookout point and watch the sun melt behind the white sand and mesmerizing blue sea of Lang Co.
Get up early and ride just south of downtown to find a deserted spot along Non Nuoc Beach. In the morning, this long crescent of sand is relatively bare and is a great place to soak up some rays and lounge in the warm Vietnamese waters. Just don’t use all your energy; you’ve got a long day ahead. 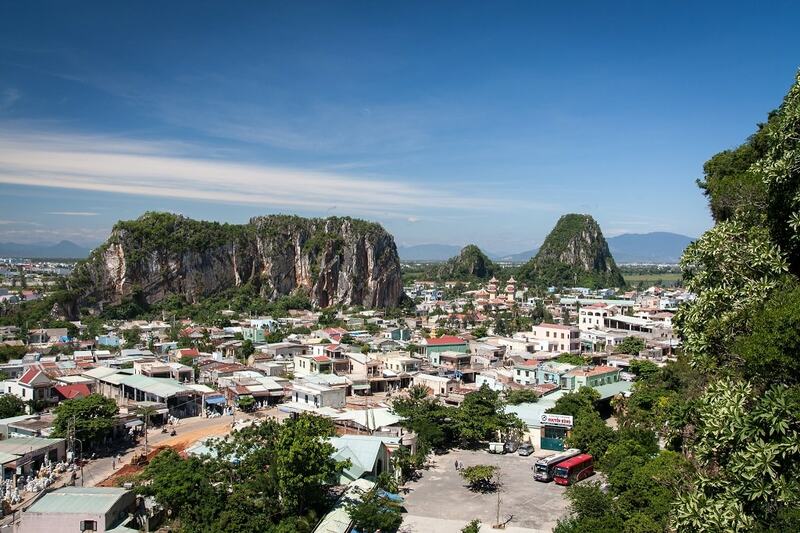 These five jagged outcroppings shoot up from the ground just south of Danang. Explore the ornate temples and pagodas that look out from the top of each over My Khe Beach. Each mystical marble tower is named for a different element, and legend has it that they rose from the pieces of a dragon egg’s shell. Purchase an intricately carved statuette from one of the many talented craftsmen in the village below. 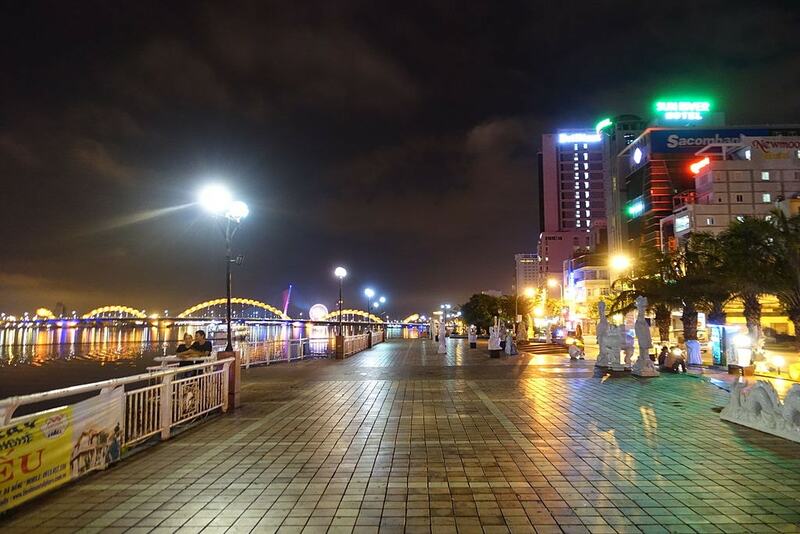 Grab a one dollar bowl of delicious Mi Quang, a Danang specialty, before heading back toward the promenade and finding a seat on one of the river cruises. 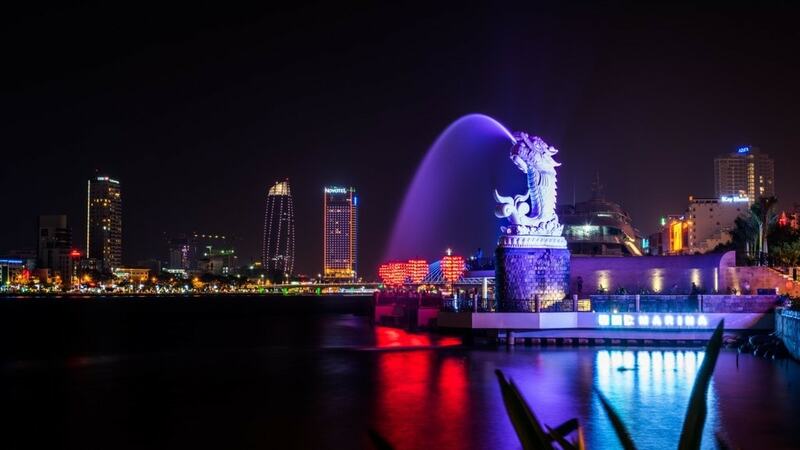 A fantastic way to see the lights of Danang, a river cruise is an ideal way to wrap up your two-day adventure in this idyllic city setting.